With cotton thread backing and synthetic rubber adhesives, duct tape has excellent initial tack, water and moisture proof. Easy tear. It is mainly used in heavy packing, carpet fixing and other construction applications. 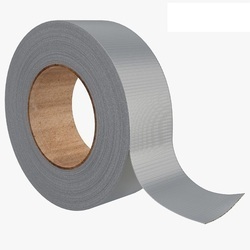 Duct Adhesive Tape is cloth or scrim backed pressure sensitive tapes frequently laminated with polyethylene.